If you recognize that title, you know the memories that Sly and the Family Stone’s soulful song conjures up. Sun in the sky, warm evenings, patio parties, cocktails, beers, conversation. And, if you don’t recognize it, you owe it to yourself to check it out. You’ll see why it’s a timeless anthem for the season. Of course summer often means a full schedule of weddings, open houses and such. Which also means dressing up and down at the same time. Think linen head to toe: from shirt to slacks to shoes. That’s where Alexander Noel steps in to help you step out. One of the most versatile options is the cool linen slipper. With The Alex Noel Deluxe Design tool, you can create a light, textured slip-on with the classiness and elegance of a traditional slipper. They allow your feet to breath and you can also be comfortable wearing sockless socks. Here are just a few of the choices you have. 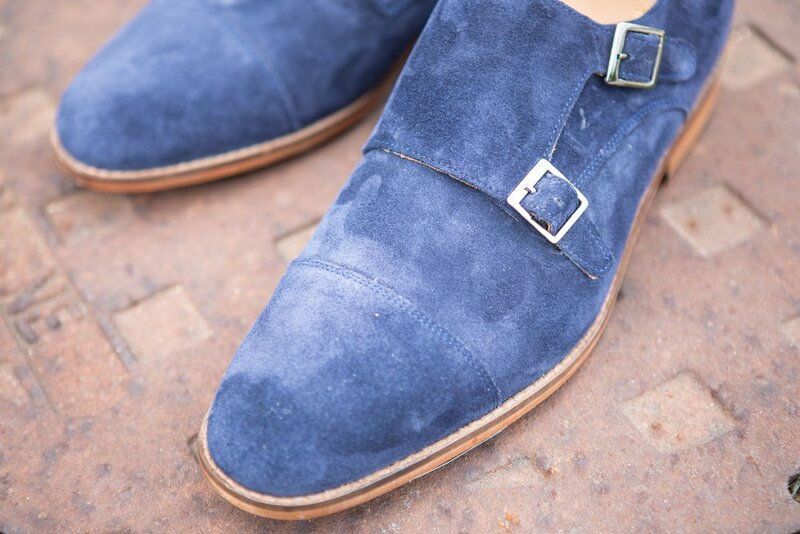 Make them your way; decide on the linen color upper, an insignia and even a coordinating lining and sole. These are ageless and limitless styles. Choose a color and an emblem and you are good to go. Whether you’re headed out for a garden party, a gallery opening, a book-signing or any other plus-one event, put your rundown, ratty shoes aside for the summer. Check out the amazing shades of Linen colors for the season. Summer, summer, summertime…. Time to kick back and unwind. Alexander Noel’s new wave of summer suedes can also be just the ticket for your event. If slippers aren’t your style, think about more traditional options in lace-ups and loafers. But focus on the feel of smooth, supple suede in warm shades of butterscotch and caramel to rich velvet blues and dusky darks. The choices are perfect complements to a variety of fabrics such as light cottons, silks and comfortable khakis. The versatility in the color palette ranges from pales to pastels, plaids in gingham or madras as well as intense solids—all pop when paired with AN’s new suedes. So now, your feet look good, what else to wear? Linen is a derivative of the Latin word—linum. It dates back to the time when Egyptians used the breathable fabric for burial wraps. A summer staple today, the material is extremely attractive for its ability to manage and/or cool the summer heats of today. Of course, a love of linen also means layers of creases and wrinkles. The flexibility of the fabric creates a a bendable, breathable lightness that crumbles and creases with you. When I wear one of my favorite linen jackets, I keep a hanger ready to hang it up when I drive. Wrinkles are part of the charm! As you can see here, a pop of color via a LINEN jacket makes a simple outfit, a stunning outfit! No need for fancy pants. Take a pair of casual slacks, a crisp shirt and a fun pocket square combined with a tailored linen jacket in a fearless shade of passion purple, powerful pink, or great green and so on, and you will be right on track. Add your new AN linen slippers. Heads will turn. Nothing classier. From Brooks Brothers stateside to Savile Row in the UK, options are everywhere. Another great spot to explore online--- is the bespoke sensation from India—HarrySuits.com. I’ve purchased a few linen pants and jackets and I am a big fan. Check HarrySuits, out!